BP Offshore Platform : Adams & Smith, Inc. 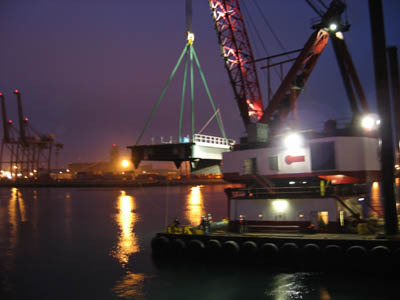 In 1996 Adams & Smith was contracted to furnish and erect the steel for the new BP Offshore Platform in the Port of Long Beach. We constructed the CMS Platform, Access Trestle from shore to platform, and the Catwalk between the existing adjacent platform to the new platform.